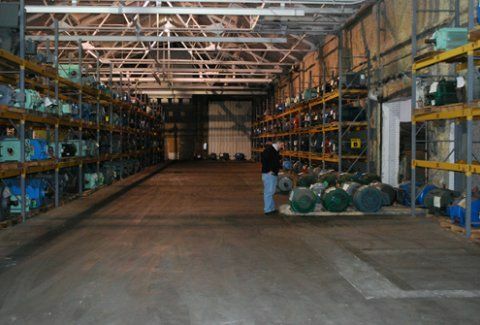 We know spare electric motors & equipment. We know how to track it – we know how to maintain it. We have been helping our customers manage their spare inventories for many years. Either on our site or yours, each spare management program is custom to the client's needs. What do we do to manage spares? We will evaluate the possibility of Centralized versus Decentralized warehousing, identify and report "cross-over" assets, study and recommend minimum / maximum inventory levels. We also review the current storage practices, the accessibility of the asset, the reaction time to retrieve the stored asset in an emergency situation, the preventative maintenance process of the asset and offer our recommendations to correct any found deficiencies of the process.